WIT Automation specializes in electrical engineering design functions for facilities as well as subsequent development and implementation of control automation systems. This is done by means of PLC software, control systems and HMI supervision. In order to do this, we utilize the best tools available on the market allowing us to carry out complex projects while satisfying our customers’ needs. We work with world leading PLC manufacturers in the field of automation as well as the most extended types of network: Ethernet, PROFIBUS DP, PROFIBUS PA, AS-i, etc. SIEMENS is one of the manufacturers that we use the most. We have accumulated a great deal of experience in migration and development of systems based on STEP7, WinCC, TIA Portal etc. We have also gained wide spread knowledge in the distributed control tool SIMATIC PCS7 as well as broad experience by developing industrial processes. We work with SCHNEIDER. We have gained an in-depth knowledge in UNITY PRO, VIJEO DESIGNER, VIJEO CITECT and SG2. Our technicians have knowledge and experience with Intouch and System Platform. 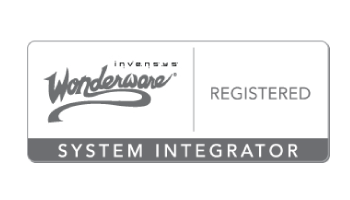 Correspondingly, we are endorsed system integrators. We have personal qualified in STAUBLI ROBOTIC CONTROL and STAUBLI ROBOTIC SUITE that can make the best out of these robots. We have received training aimed at the development and integration of EPSON ROBOTS with EPSON RC+. One of the manufacturers of HMI touch screens for control and visualization of facilities that we count with is PRO-Face. Another manufacturer utilized by WIT automation is IFM, for both field instrumentation and for AS-i Controllers/Gateways.